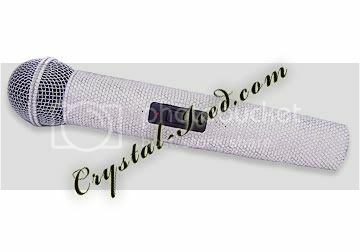 Just to let you guys know, that we do customise microphones in Swarovski Crystals, in any design of your choice. This would be classed as a bespoke customisation, so they are available to order under special request. You will need to contact us with the dimensions of the product for a quote. 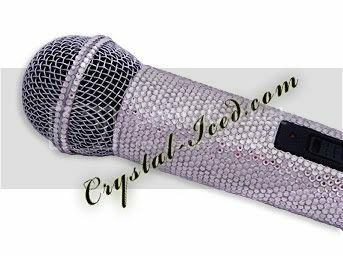 The Swarovski Crystal microphones have become much talked about since being spotted in the clutches of Kylie Minogue, Mariah Carey, Rihanna and the Spice Girls, to name a few.